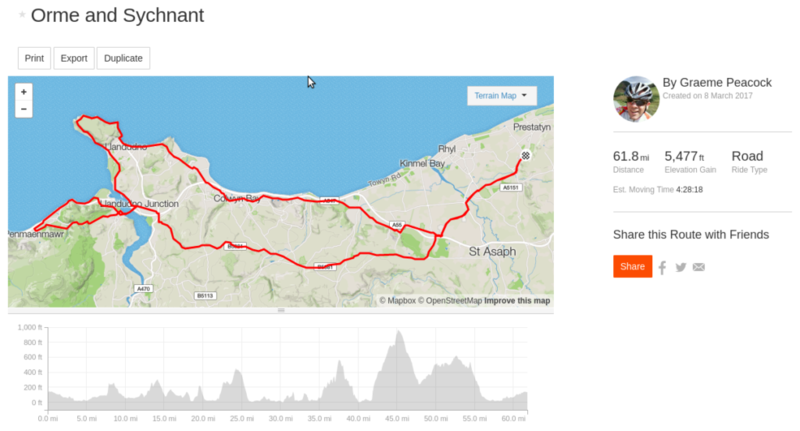 Thank you to Graeme for this weeks route – 62 miles and 5,500ft of climbing, available on Strava. The route has a number of turn back points including post Orme, and post Sychnant. Those of you with Speedplay pedals and lacking the ability to levitate would be well advised to take FULL COVERS with them if they are intended to do the Sychnant Pass climb, as the coastal path stretch from the Conwy will very likely involve walking on sand.